As golfers, we love distance on our shots, and no other club delivers more distance than your driver. Today's golf drivers are more technologically advanced than ever before, capable of delivering incredibly long drives. Driver club heads today are typically made from a metal alloy or other advanced materials and are also larger than their persimmon wood counterparts of yesteryear. 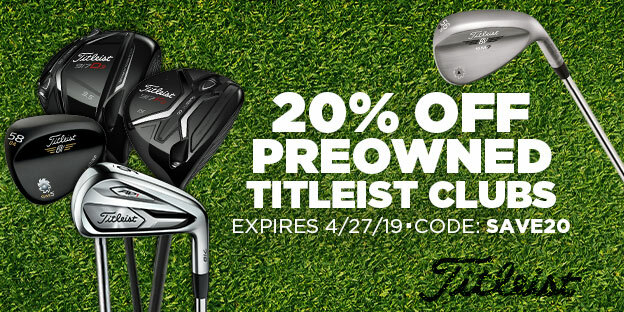 At GlobalGolf, we offer both new and used golf drivers from the top manufacturers of golf equipment, including drivers by TaylorMade, Callaway, Titleist, and more. There are some important factors to keep in mind when shopping for a new driver. The first is the loft of the club, which is the vertical angle of the club face. 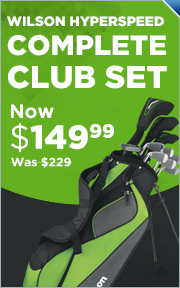 Higher degrees of loft will result in higher launch angles, which is better for beginners and high-handicappers. Low-lofted drivers (9° or less), on the other hand, will result in more penetrating drives and are better suited for experienced or low-handicap golfers. Another factor to consider when shopping for a driver is the shaft material and flex. Most shafts are made of graphite, but some drivers (especially used ones) may still have steel shafts. The flex of the shaft is how much it bends during a swing. Stiff shafts won't bend as much as regular or light flex shafts. People with slower swing speeds will generally benefit from having lighter flexes in their driver. Players with faster swing speeds usually need stiffer shafts to maintain driver accuracy. Over the years, many club manufacturers have begun to embrace adjustable drivers, which allow golfers to adjust a number of club attributes for a more customized club. Adjustable drivers allow you to change the degrees of loft, adjust the face angle (how open or closed the club face is at address), the lie angle, and/or shift the center of gravity of the clubhead. Although these drivers are very popular because of their versatility, many golf manufacturers continue to make fixed drivers alongside adjustable lines.